This special sheetlet includes the full eight stamp collection presented alongside astonishing imagery. 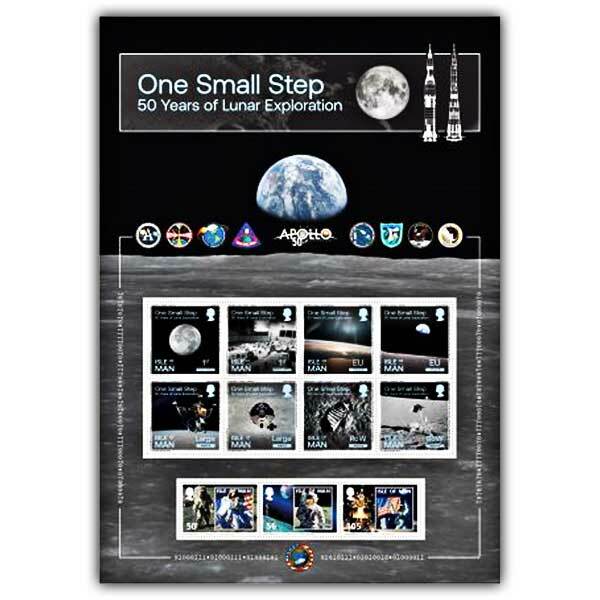 Featured also is three stamps from our 2009 issue which were prepared by the 4th man to walk the moon, Alan Bean who sadly passed away in May 2018. 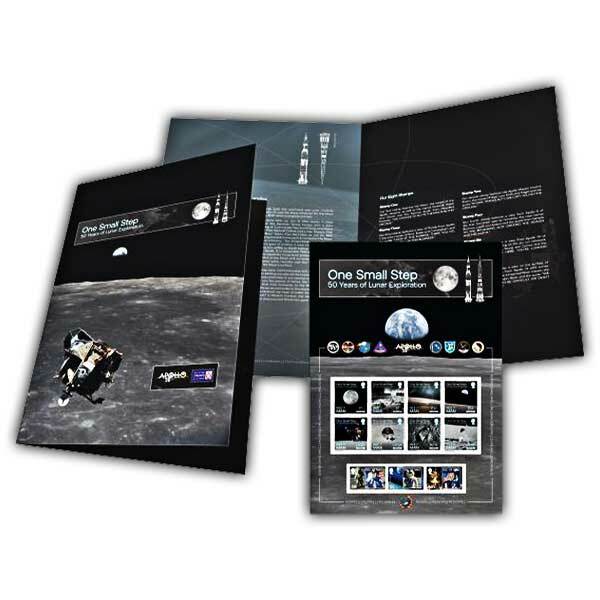 Available in Mint or Cancelled to Order, this special sheetlet includes the full eight stamp collection presented alongside astonishing imagery from this remarkable collection and our 2009 stamps which were issued to mark the 40th annivesary of this significant event. Presented in a complementary wrap which features additional text and imagery, this really is the perfect token to mark this incredible moment in history.